ATHENS—The Athens Town Office building is in need of renovations, people to perform the renovations, money to fund it, and people to find the money. The town also needs people to run for town offices. Part of the problem is, not many people live in Athens. 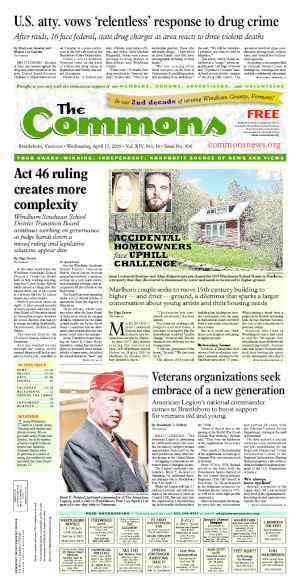 The northeastern Windham County town has only 340 residents, according to the latest census report cited on the town’s Vermont.gov Webpage. The other problem is, those currently doing most of the volunteering in town are advancing in years and losing steam. “Our volunteer pool is very consistent,” Sandi Capponcelli said of her fellow-volunteers holding committee positions and working on the town office building. “We have a lister in her 80s,” Capponcelli said. “She’d really like to quit, but we don’t have people to replace her." “Our town office literally had not been touched in 30 years,” she said. “It hadn’t been maintained well. It wasn’t a safe building." Capponcelli said she and other volunteers started renovating the building about three years ago. “It’s a 10-year plan,” she said, but “at the last town meeting, the town cut our funding." Why all the fuss over an old building that seems to need pretty much everything done to it? “The town office was built in approximately 1858 and served as a school for our town for many, many years... 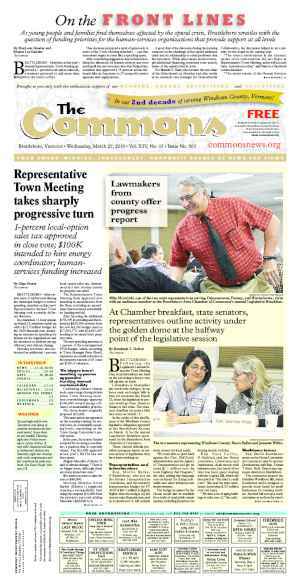 It is a big part of our town history,” Capponcelli told The Commons in an email. Capponcelli said the town is hoping to have an open house so people can see the town offices and sign up to help. “We’re still nailing down the date,” she said, but she expects it will be between June and September. “It would be nice if the younger residents would help contribute,” she said, noting the work needed is “not just painting and pounding nails. We’re looking for grants and people to write them.” She said the town also needs younger people to “take positions in town” and come up with fundraising ideas. “We don’t have the younger people helping out,” she said, adding, “people have been so generous, but we need new blood to continue." “I think Vermont is in that state of flux,” she said, where the state “can’t get the younger population to move here. We have to face it. 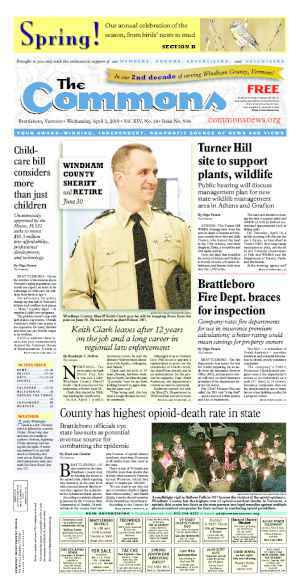 The population of Windham County is getting older." And so are its town buildings. 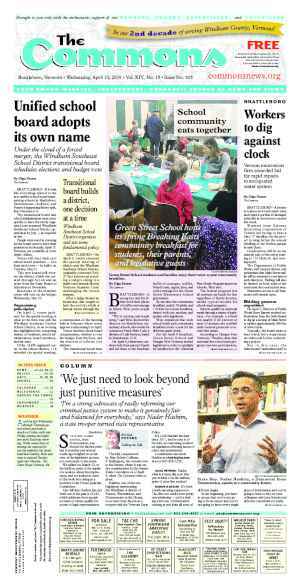 Originally published in The Commons issue #305 (Wednesday, May 13, 2015). This story appeared on page C1.